I can’t imagine that upon seeing the two lines – pregnant!- anyone is hoping for a high risk pregnancy. The excitement and nervousness quickly turns to anxiety, fear, and the unknown. When we found out we were pregnant again, we never imagined the journey we were about to take. Every week, I found myself back at Sunnybrook for weekly ultrasounds and doctor appointments. It seemed as though every week, and every ultrasound discovered something else wrong, one more thing to worry about. Dr. Hui was my constant throughout, answering all the random questions that would pop into my head on the bus ride over. 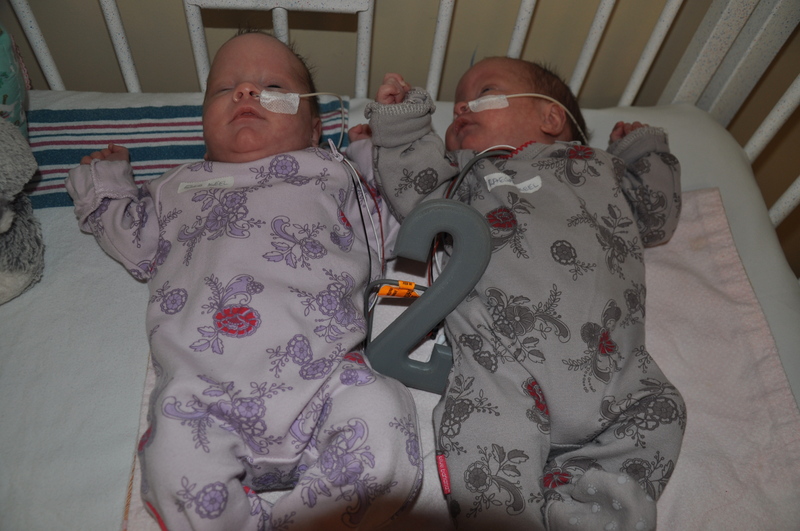 We would have many follow-up appointments to check on the twins, and then, shortly after we found out we were having girls, Dr. Hui admitted me to High Risk Obstetrics. 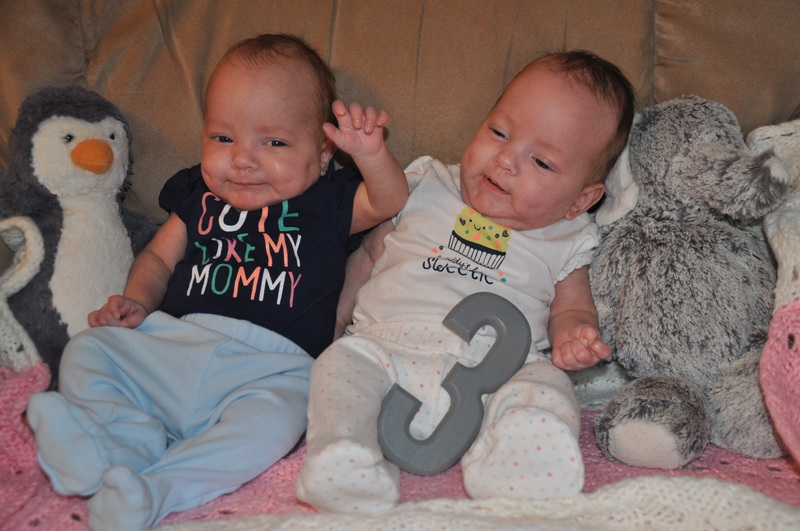 For three weeks, my belly grew, and my girls swam around. 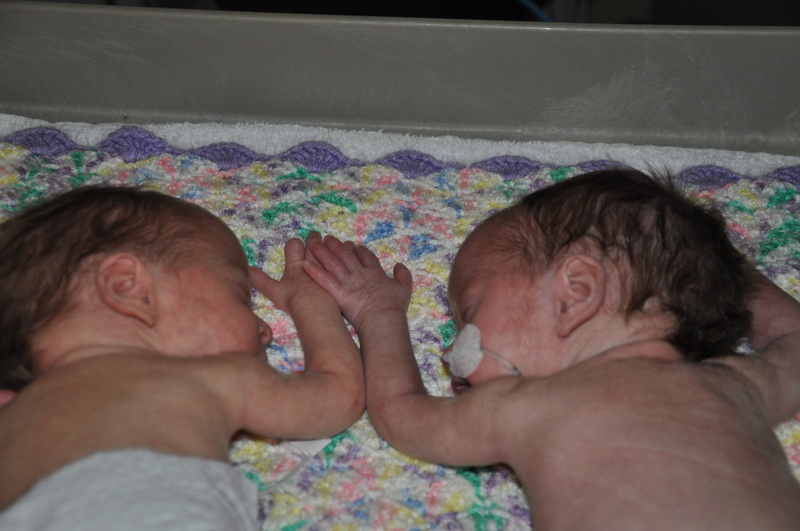 I had the steroid shots to boost their lung development if they were born at 24 weeks, and waddled through the halls every day. Dr. Hui always visited and checked on me. The nurses in HRO made me laugh and reassured me when things seemed strange. I told them stories about my son, and we talked about celebrity gossip. Seeing how desperate I was to be there for Christmas with Buds, Dr. Hui let me go, having me come in almost every day to be checked. I never thought we would have a problem. I thought for sure we would get to 32 weeks, and I would come back into the hospital for my scheduled c-section with my pillow and slippers in tow. The girls had other thoughts, as they continued to twist and turn inside me, they were making it harder for themselves to stay strong, and their heartbeats were all over the place. My nurse was calm, but seemed worried as she kept monitoring the girls. 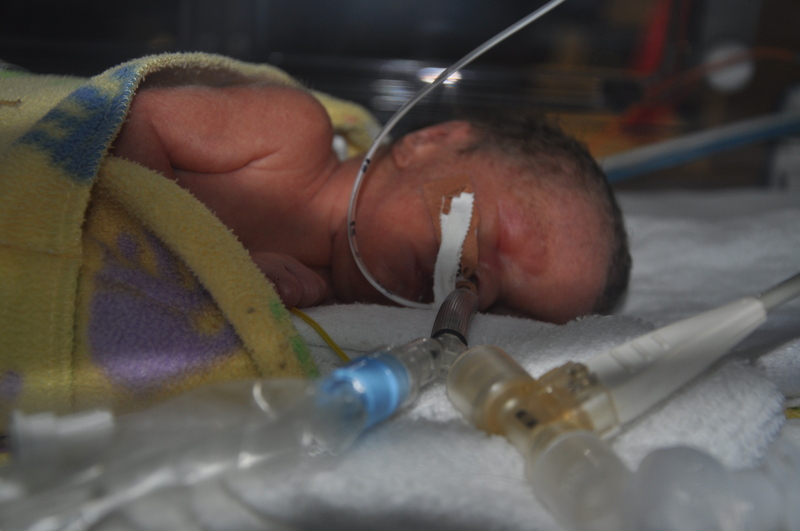 She stepped out, and during rounds, I was told I may deliver the babies that day, at only 29 weeks. I kept asking if Dr. Hui knew what was going on and what she was thinking. We trust Dr. Hui completely, and when she said we needed to deliver, we knew she would never steer us wrong. Dr. Hui came to see us before the section, and though we were disappointed she would not be performing the section, her presence was immensely comforting, despite the fear coursing through my veins. 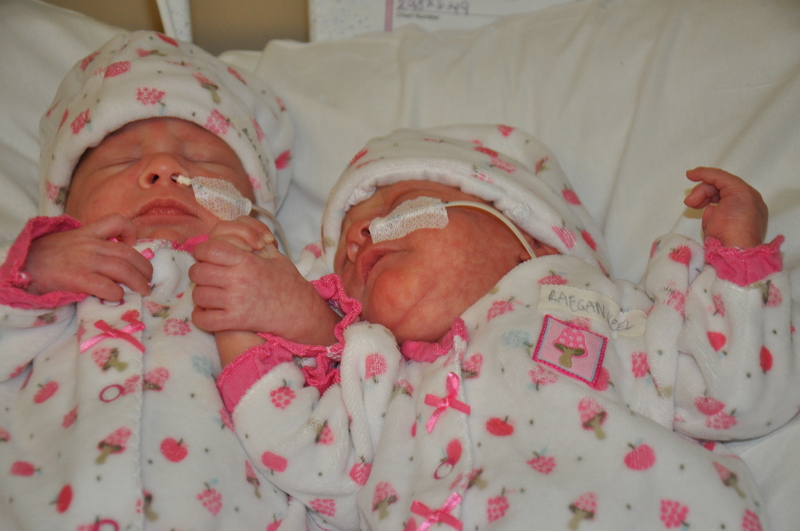 Then, our girls were here and it was the happiest and scariest moment of my life. 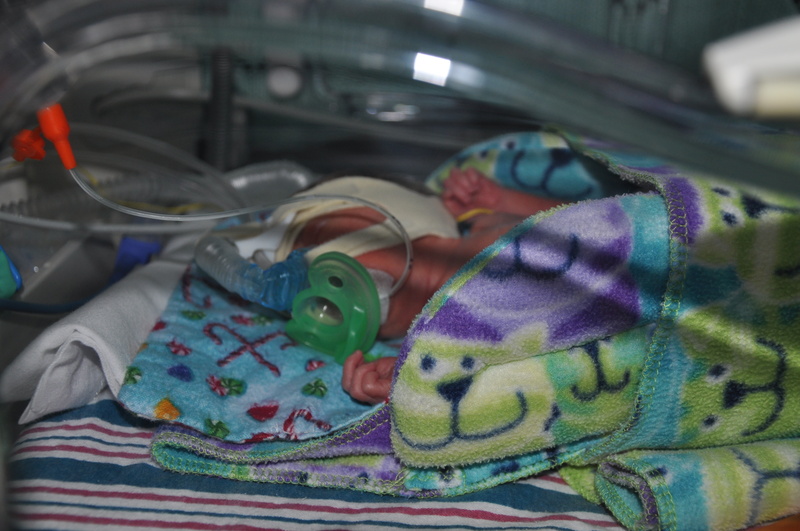 I couldn’t hold them, or even see them, as they were rushed out of the room and into the NICU. There, the team stabilized them, and provided for them when I couldn’t. I kept asking in HRO about my girls and begged to see them. Finally, I got to be wheeled downstairs, past the expectant parents awaiting ultrasounds, rubbing their bellies, and thinking “that will never be me, that will never be me” as Jason and my mom pushed me into the NICU. There, the two smallest, most amazing sweet girls were waiting for me. That moment was filled with emotion that cannot be put into words. 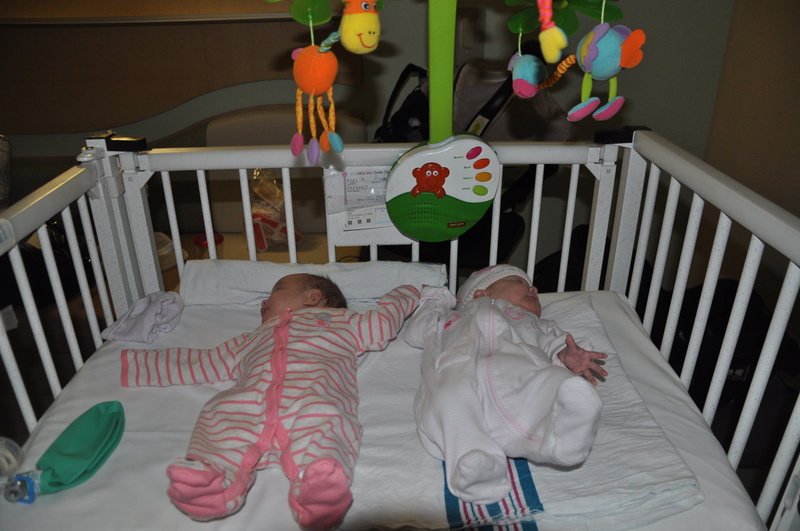 The nurses explained the machines and how the girls were doing. I was shaking as I put my arm in to touch my girls for the first time. We were home, having dinner with Buds when I got a call from the hospital to come in because Ella was struggling. That moment was the scariest of my life, and I have never had such a long walk as I did going to see her in our NICU room. Thankfully, our girl recovered, though waiting to hold her was hard, as it went against all my natural instincts. Raegan and Ella having some time together shortly before heading home! Thank you to Drs. Skidmore and Dunn who took such good care of Ella, and of me, as you explained with every ultrasound, with every head measurement, what was happening. Sometimes what you told me made me cry, but you allowed me to feel my anger, shock, and grief, without judgment, and though the future is uncertain, you gave her the best possible start, and there are no words to express my gratitude for everything you’ve done, and for what you do every day. 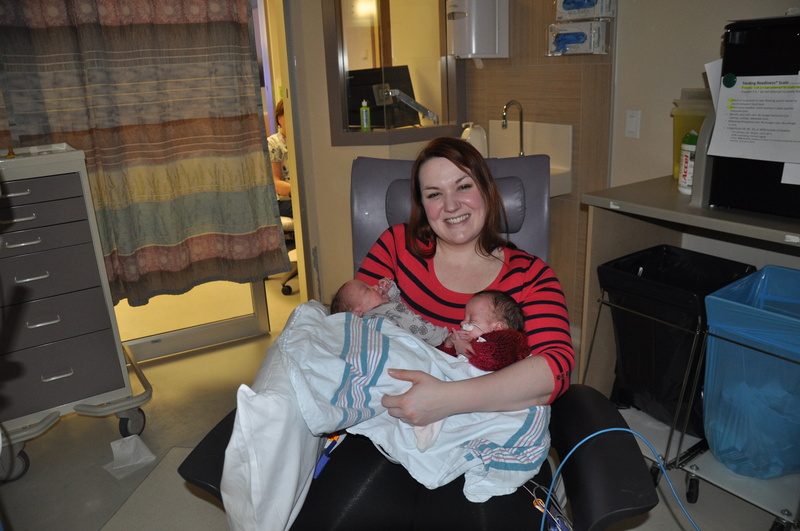 Thank you to the amazing nurses, nurse practitioners, breastfeeding resource nurses, parent coordinator, and staff who brought our girls into the world with love, support, and a sense of humour. You do incredible work, every day. Every day, you help make families whole, and every day you save lives. No one knows the depths of your work, how hard it must be to care for the sickest of babies, as well as to care for your own children. You take care of our most loved when we cannot. You help us hold our babies and teach us to care for them. You allow us to laugh and cry, and sometimes you do it with us. We say thank you, but you may never know truly how meaningful those words are, just as you may not know truly how special you are. Meeting their big brother for the first time! So, how do you say thank you for literally saving our babies, for taking care of them, for reuniting our family and making us whole again? Simply, you cannot, but I will continue to tell the world the amazing work you do, and ask that, when and if possible, they consider giving back to the future bables, who need a little more help, a little bit more time before coming home, and just a little bit more love. 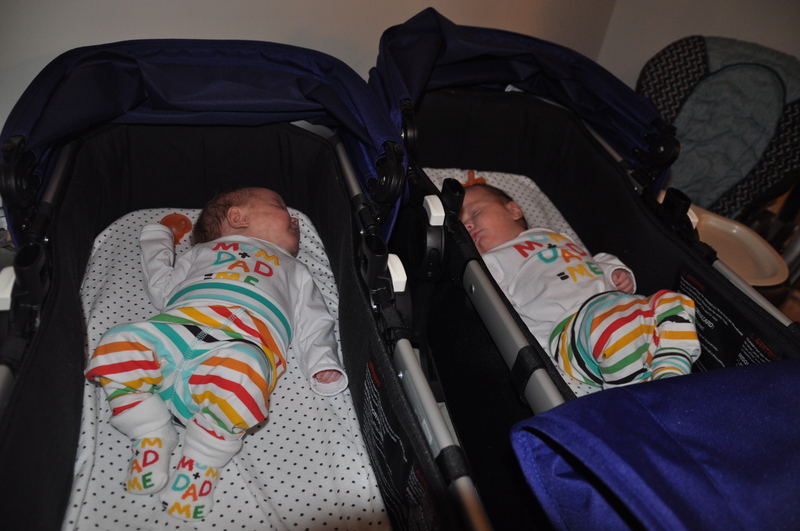 This entry was posted in Baby love, Basic info, Hospital life, Life in an incubator, The beginning and tagged doctors, gratitude, hospital, momo, NICU, nurses, preemies, Sunnybrook, thanks, twins. Bookmark the permalink. Thank you for sharing your beautiful story and pictures. You are right, sometimes we take so much for granted. I never really felt thankful for any of the help the doctors gave me through treatment or pregnancy, but you are right. My story is nowhere near yours but I should still be grateful Best wishes.